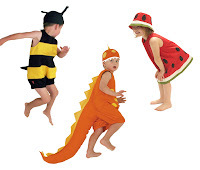 Filiokus - Playful childrens dress up costumes: Rain, Rain Go Away at the Fair! 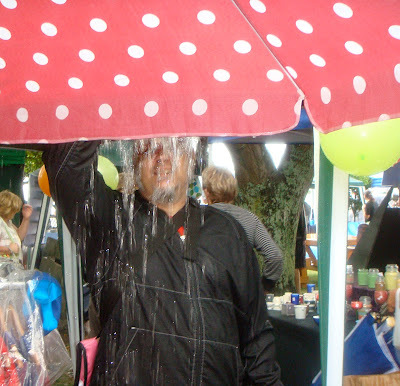 Martinborough Fair - & the rain came. The rain decided to dump on us all quite a few times during the morning from about 7am, making it not very pleasant. 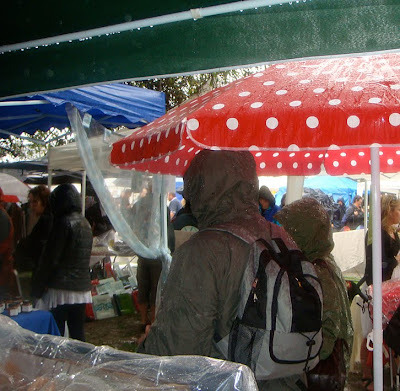 Muddy puddles, and slippery tracks between stalls - thank goodness for our gazebo & red spotty dotty umbrella (a much needed shelter for our stock and shoppers). 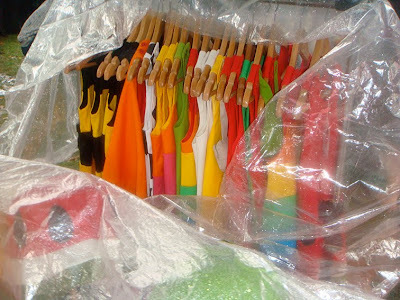 But the day did fine up & we had a great day.